The 2019 American Family Championship promotion is now for purchase. The Am-Fam package includes: 18 holes of golf at Wild Rock*, lunch at Wild Rock, a Wild Rock hat and a ticket to the 2019 American Family Insurance Championship in June at University Ridge plus a voucher to replay Wild Rock for only $65. Like last year, we will have a limited number of passes so be sure get yours before they are gone. Get yours today for only $55+tax, by booking online or calling 608-253-4653 Visit the American Family Championship website for more information on the tournament. 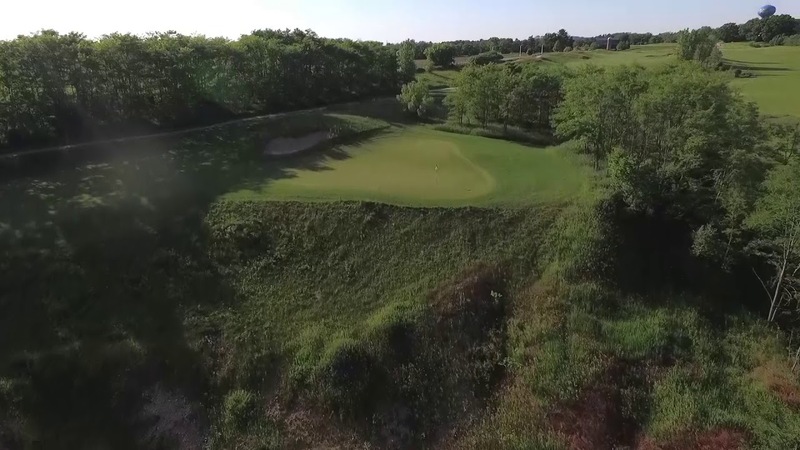 The course’s most notable topography is easily the old stone quarry with its rocky mounds and extreme elevation changes, giving it an almost desert-course feel. Get a lay of the land with our course videos before you play. Reminiscent of a woodland lodge the clubhouse at Wild Rock was recognized by Golf Inc. magazine with a 2nd place national design award for “Best New Clubhouse” the year it opened. The designers’ interpretation of “rustic simplicity” is most evident in the use of massive log beams, the vaulted ceilings and the framed views. We’ve created a destination wedding experience that is stunning yet without pretense. Beautiful setting, beautiful wedding. That's Wild Rock.